Obverse: GENERAL ULYSSES S. GRANT - Bust of Grant, right; below is the seal of the Society. 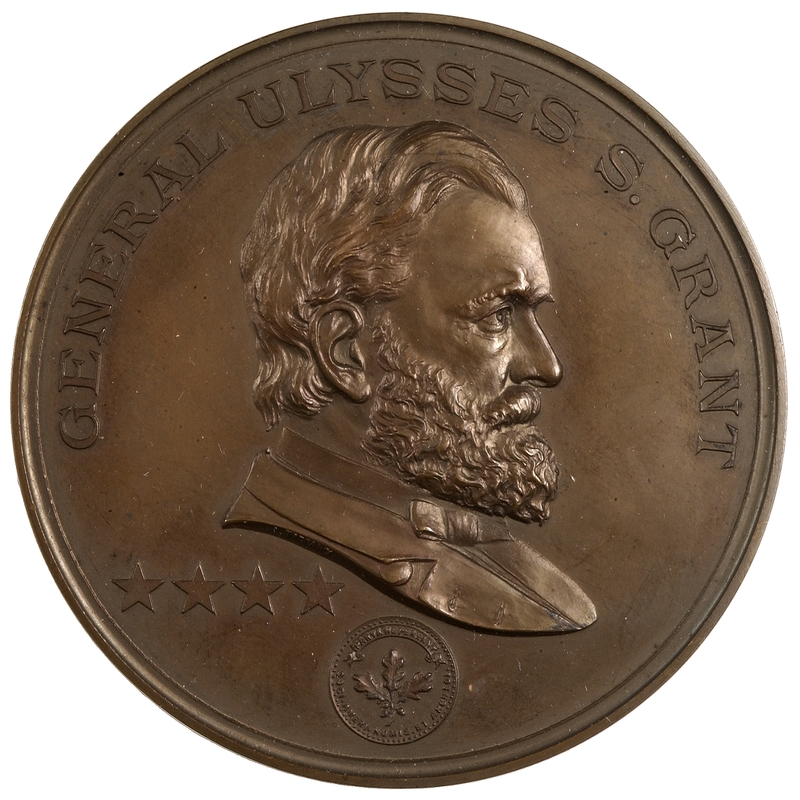 Four stars, denoting his rank, are between the bust and seal; on truncation, signed TIFFANY. 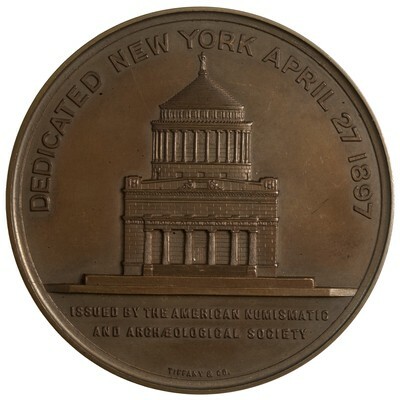 Reverse: DEDICATED NEW YORK APRIL 27 1897; in exergue, ISSUED BY THE AMERICAN NUMISMATIC / AND ARCHÆOLOGICAL SOCIETY - A view of Grant's tomb.